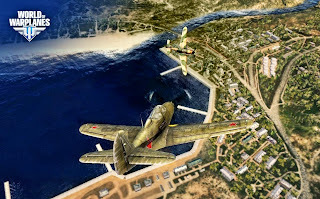 World of Warplanes is the follow-up to the worldwide hit World of Tanks. This time the focus is aerial combat with planes from the golden age of military aviation. With over 200 aircraft models to choose from and customize, this is a game of incredible depth and thrilling action that will grow over time, just like Wargaming did with World of Tanks. A complete must for fans of competitive shooters.